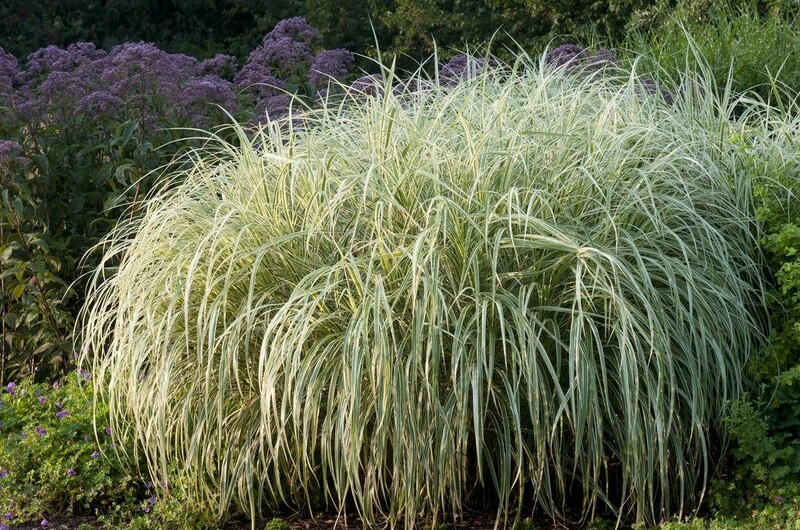 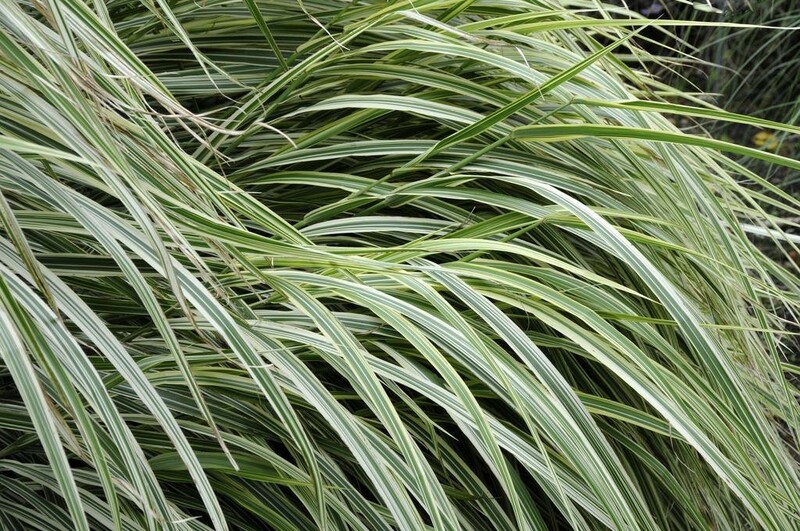 Considered to be one of the best miscanthus, forming a clump of reed-like stems with narrow, strap-like white-and-green variegated leaves that arch to the ground. 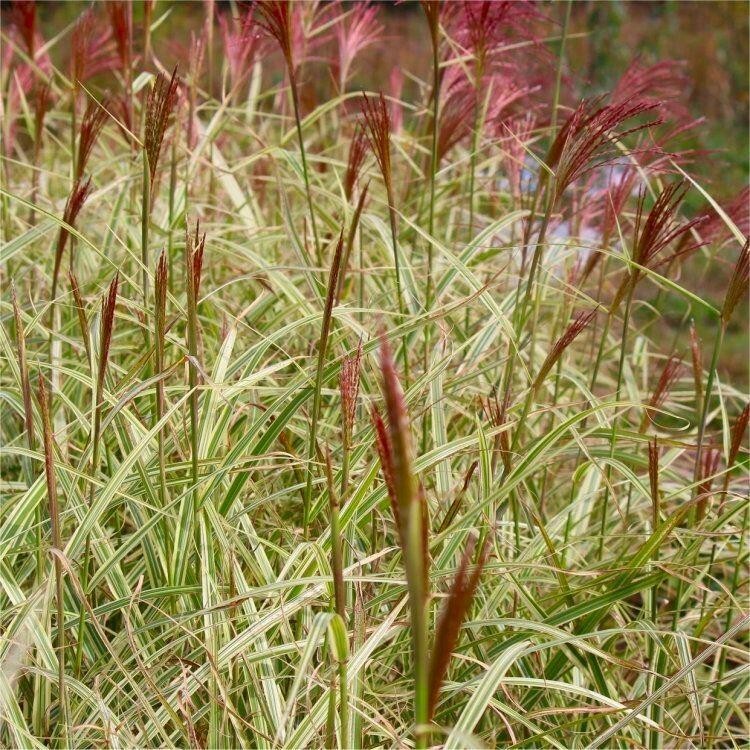 The pinkish flower heads are borne in late summer to autumn and make good cut or dried flowers. 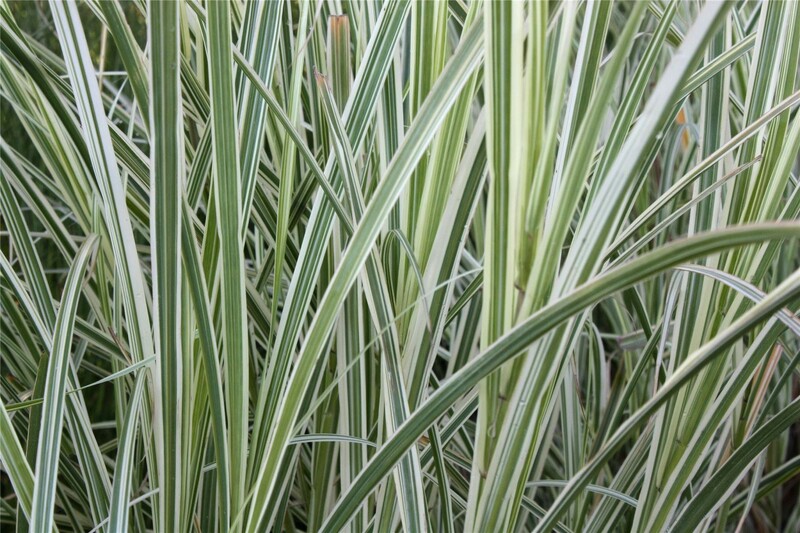 Strong plants supplied in approx 2-3 litre containers.